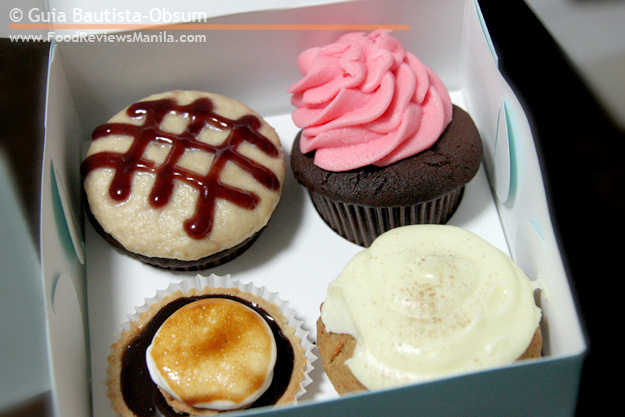 Cupcakes by Sonja boasts not only of a quaint little pastry shop in Serendra, but also that of some adorable, unique cupcakes. From pastel-colored walls clad in florals and stripes, to the fragile cupcake figurines that adorn the shelves, the shop shouted charm that beguiles and captivates you. This trait is evident in their cakes as well. With titles such as Peppermint Patty, S'mores Tart, Bunny Hugger Carrot Cupcake and PB and J, who wouldn't be tempted to try out these cute goodies? My favorite cupcakes though are their refrigerated ones. Served cool and moist, these pastries tease and please the palate. Take the Banana Monkey Cream Pie -- beneath the hill of whipped cream, amid the crumbled cookie crust, therein lie luscious slices of bananas in a sea of rum and caramel. Another satisfying treat is the Pistachio Berries N' Cream (see cover photo). 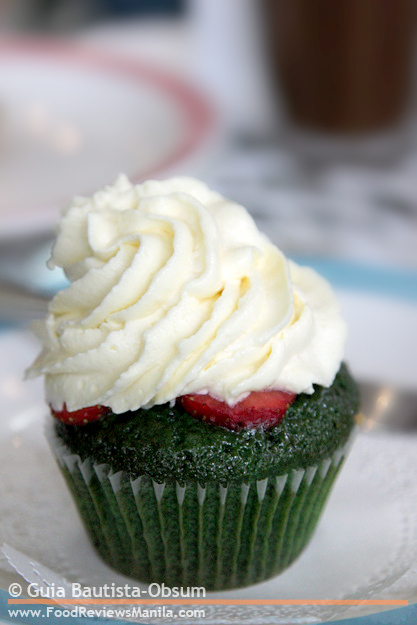 Butter pistachio sponge draped in dark green hue, with slices of fresh strawberries under a heap of whipped cream icing, partly hidden from view. 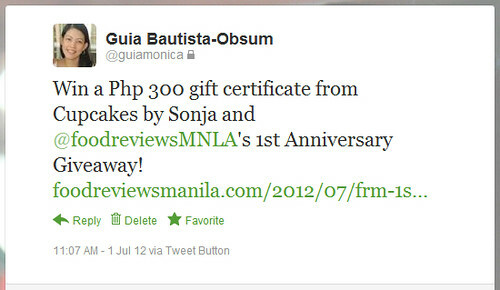 To celebrate FRM's 1st Anniversary, Cupcakes by Sonja has generously sponsored giveaway #11! 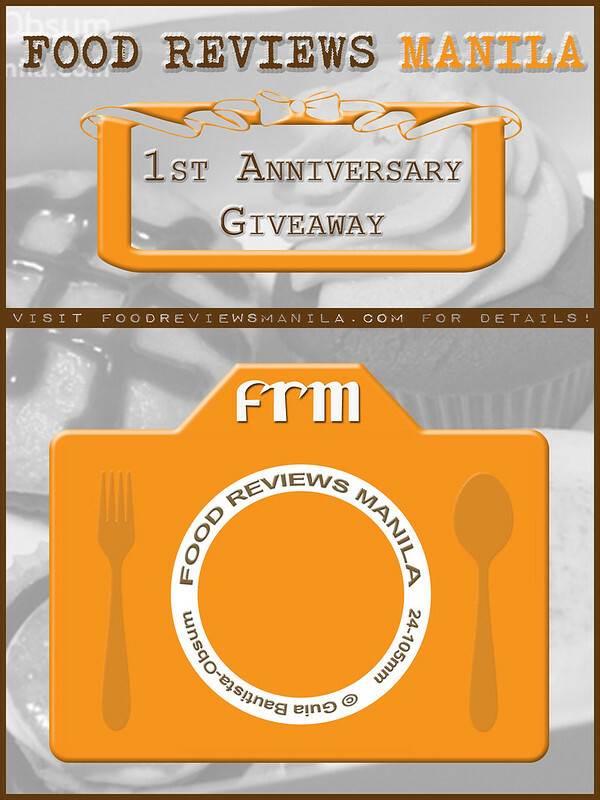 Anyone who lives in the Philippines is eligible to join; however, the prizes are only redeemable at Cupcakes By Sonja' Serendra, Bonifacio Global City branch. Contest runs from July 1, 2012 until July 30, 2012. You must have a valid and active Facebook (must have at least 30 friends) and Twitter (must have at least 10 followers) accounts to join. Please follow the instructions on the Rafflecopter below. There are 7 very simple mandatory tasks you have to complete in order to qualify for the draw, but there are also optional tasks that you can do in order to increase your chances of winning. Please follow instructions (put the correct message, tag the sponsors in the message, submit direct links, etc.) for your entry to count. The winners will be announced on this website on August 2, 2012. Winners will also be notified via email and must be willing to pick up the GC at Cupcakes By Sonja's branch in Serendra, Bonifacio Global City. Please present a valid ID when claiming your GC. OMG, My favorite cupcake's by sonja flavor? chocolate creme pie ofcourse~!!! I love it soo much it comes to a point that I wait outside the store for 2 hours if they run out of stock.. I love the bunny hugger carrot cake! I like the pecan pie because it's much healthier. I super love the strawberry cheesecake!!! yum yum yum and the vhalrona cupcake!!! I love the classic Lemon Drop by Sonja's Cupcake. 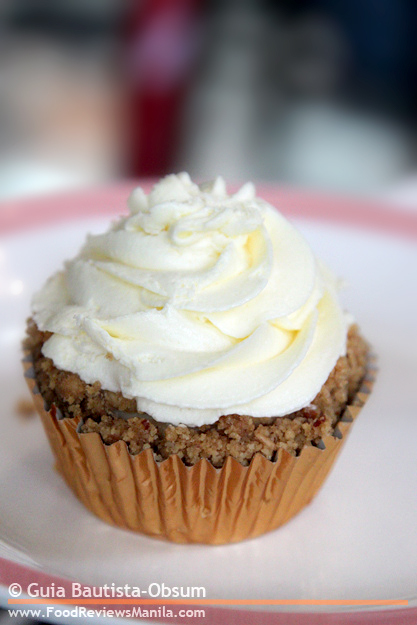 A delicious vanilla cupcake smothered in tangy lemon buttercream frosting. Its heaven sent. My faves are red velvet vixen and berry delight strawberry cheesecake :) YUmmerzz!!! I super like the Pistachio Berries N' Cream! My favorite is their Vanilla Sunshine. I would like to try Bunny Hugger Carrot Cupcake! I want the peppermint Patty! Banana monkey cream pie looks yummy! Strawberry Cheesecake!!! :) love it.. I love the red velvet!! I love the pistachio berries n' cream. my favorite is Pistachio Berries N' Cream!! havent tried it yet. poor me. I like the red velvet vixen. Peppermint Patty, S'mores Tart, Bunny Hugger Carrot Cupcake and PB and J,i want to try them all. CARROT CAKE. Healthy and yummy. I love their red velvet cupcake. THE RED VELVET VIXEN!!!! UMMM SO YUMMY! i want it i want it sooooo much! Pistachio Berries n' Cream is my fave!!! i love to eat the the elvis cupcakes..hmmm yummy. i want to try the chocolate flavor cupcake i never tried it yet and i do love chocolate.